A personally written ceremony, styled to reflect you, your love for each other and your values and beliefs. Conducts your ceremony according to Australian law. Absolutely no Travel fees charged – provided your wedding is within a 200km radius of Melbourne CBD. Supply and lodgement of your legal documents with the Registry of Births, Deaths and Marriages. Reservation of your ceremony date and time so that no other bookings are taken. I do not conduct two weddings on the same day, therefore your deposit is non-refundable. You, the bridal party and anyone else involved in your ceremony will know exactly what to do and when. 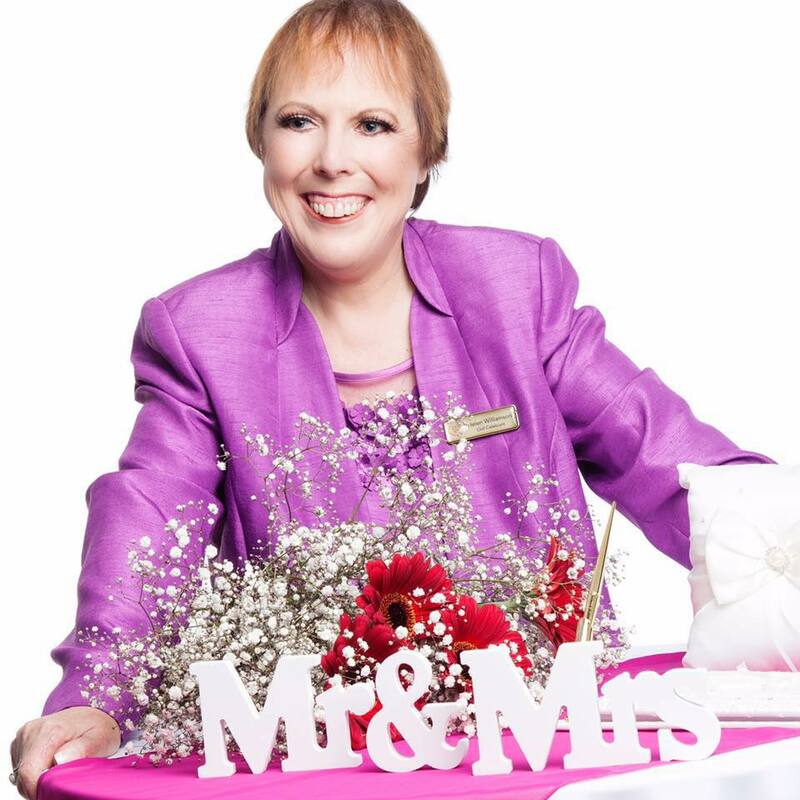 Helen will teach you how to say your vows calmly and confidently. Unlimited face to face meetings. Telephone, Skype and email consultations as required. Learn some of the tricks of how to pose for your photographer. A Welcome Kit full of ideas and inspiration. Extensive guidance and assistance with your vows. The team arrive at least 1 hr prior to the agreed ceremony starting time. Presentation copy of your ceremony and marriage certificate. Official Appreciation Certificate & Letter of Thanks from the Victorian Cancer Council. Access to a private Wedding Celebrant FB group for all Couples I am marrying for discussions/questions/hints etc. Complimentary checklists for your wedding – pre, on the day and post wedding checklists for the bride, groom, maid of honour and best man. Suggestions for roles that your family and friends can do, so they can feel included in your wedding. Ideas and support for making sure your wedding day runs smoothly and with ease. Helen will dress appropriately and accordingly to your theme and/or colour. Confidential and secure record keeping. Helen will liaise with your other service providers to ensure everything runs smoothly on the day.